FYI is a tool that helps teams search and organize all of their documents in one place. 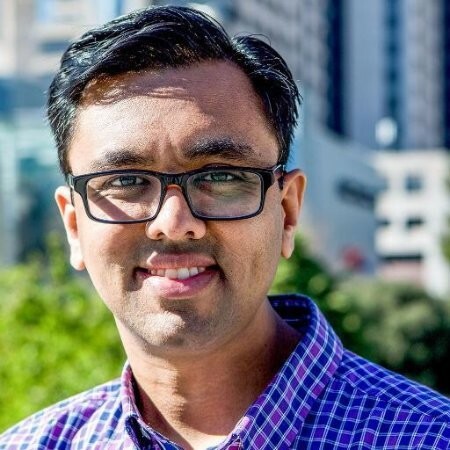 Hiten has started multiple SaaS companies since 2005, including Crazy Egg, KISSmetrics, and Product Habits. He’s also the creator of Quick Sprout marketing blog, The Startup Chat Podcast, and he's an advisor to over 50 startups. Hiten enjoys helping other people succeed in business and in life. I got into marketing accidentally, when I was 22 years old, together with Neil Patel who’s a more famous marketer than I am. I’m married to his sister, and together we have decided to start a consulting company dealing with the SEO. The number one tactic was curiosity. We did a lot of gray and black-hat techniques on our own properties at the time, just to learn what Google liked or disliked. It helped us develop a set of principles around how search works and what we should do to help our clients. Marketing is an industry where your curiosity matters a lot. Our drive for building the software was mostly to get diversification from consulting revenues. In 2005 we have launched Crazy Eggs and at that time there were many opportunities for building companies like this one. Later on, we have built KISSmetrics, which was mainly targeted at marketers. Our marketing framework was basically focused on defining the target audience and then figuring out where they hang out. At that time, there were a couple of forums that really helped us out. Twitter was one of our main channels when we started KISSmetrics and we mostly utilized hashtags there. When we started our blog, this is how we got a lot of traffic. Over time, email and SEO started taking over as well. Intuition can guide you initially but over time you need to have some kind of data. You need to identify your customer’s problem and you need to be able to solve that problem. It’s funny but it is easier to say the similarities. It all boils down to knowing your numbers and metrics. Knowing whether you are able to drive more of what you're looking for in the business. I have many advisory and investment roles so this is my priority, but most of my time is spent on my new business called FYI. One thing I've learned over the last 15 years is that if you're going to work on something, work on something that's a big problem for other people. We are focused on both personal and company use. We have a Chrome extension, so every time you open a new tab, you'll find our product there and it will help you find your documents. We are still in the early days so we are more focused on building the product than promoting it. I see that people make a big deal about time but I’d rather ask myself whether I have the energy for something. If I have the energy for something or if I feel like it's going to help me, I do it and I commit to it and I figure out the way to get it done. I’m also a big fan of delegating things. We should be coming from a place where we're not thinking about limits, but about opportunities. The number one skill you need to succeed is curiosity. Find a way to be curious about how things work and how customers think. It's not always just science and performance. You have to have some intuition, you have to have some form of curiosity to run experiments and try things.